Distorted Christianity Versus True Christianity. Almost from the beginning there were forces at work within Christianity that could have destroyed or sidetracked the movement. Of these, three created many problems then and have continued to reappear in other forms even today. 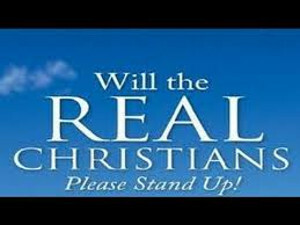 These three Distortions Of Christianity are contrasted in this post to True Christianity. 1. Their Definition Of Christianity: Christians are Jews who have recognized Jesus as the promised Savior. Therefore, any Gentile desiring to become a Christian must first become a Jew. CONTINUE READING: Distorted Christianity Versus True Christianity. I agree, excellent post. Hope you don't mind l copied it to add to my page on Fb Servant of God. Await your response before posting. Excellent post on the Distortions of Christianity vs. True Christians.